Posted on June 27, 2012	by Lou Murray, Ph.D.
Hubby took me out blacklighting last night. No, not to a rock concert. 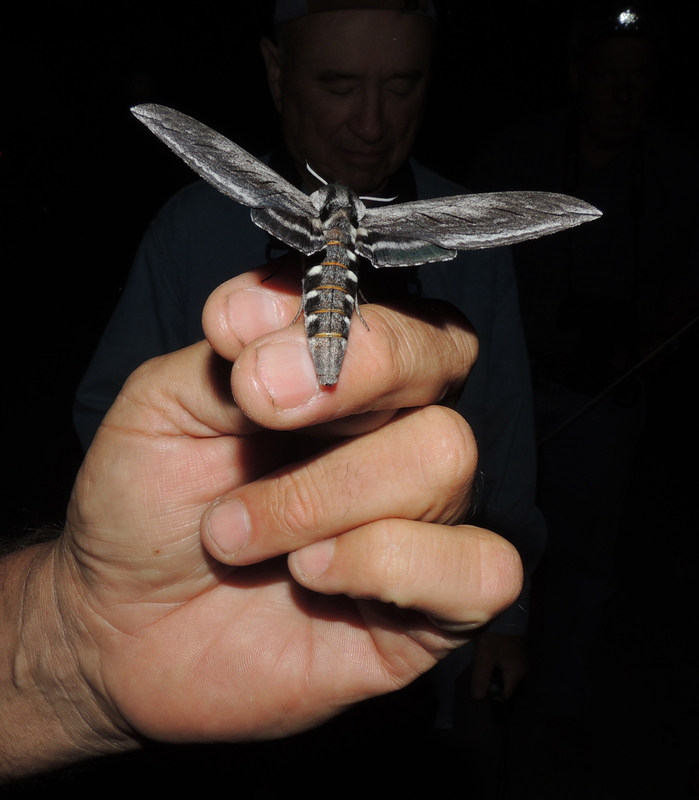 We went hunting for night insects with a group of photographers. My Nikon Coolpix 510 is my brand new camera, and I’m still learning to use it, so I accepted lots of help from the others there. They set my camera on manual, and I learned to dial in the shutter speed that I wanted. I still don’t have the hang of shooting on macro with the telephoto extended, but some of the shots came out by chance. 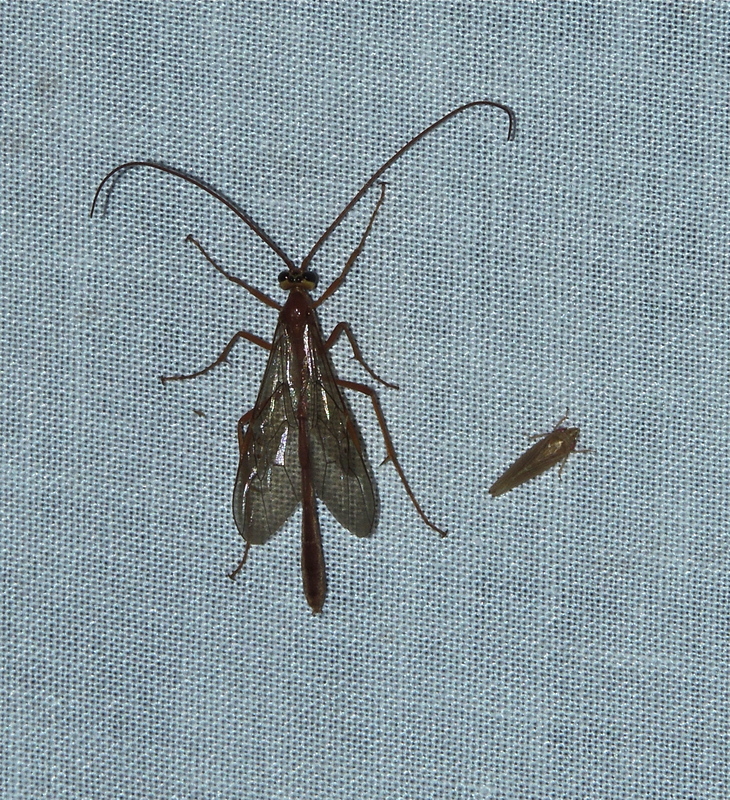 We birded until dark, then switched over to photographing insects. I still need to learn how to dial down the flash, because it was pretty intense and washed out a lot of the shots. So much to learn. And then there was the downloading of the photos to my new iMac, and processing the photos with iPhoto. ARG. My old brain is swimming. Or drowning, I’m not sure which. I have Aperture, but I’m trying to take this one step at a time and learn iPhoto first. 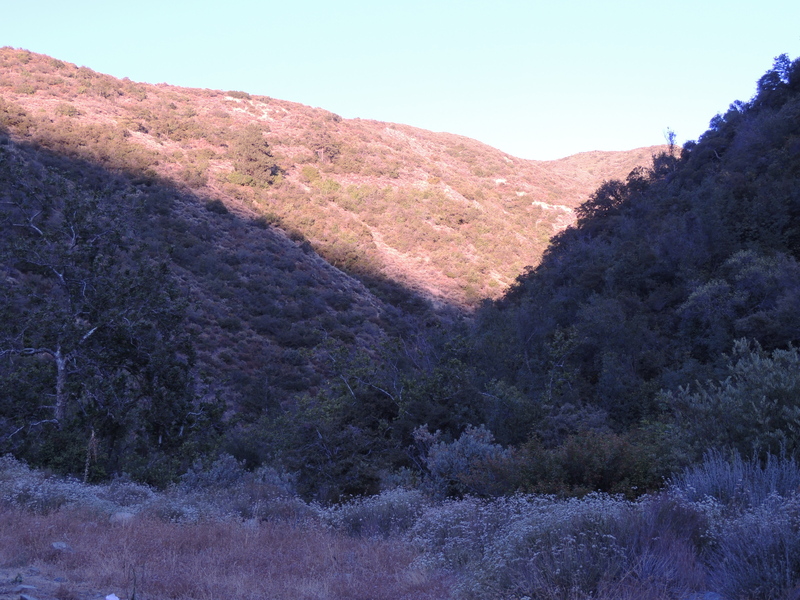 After the end of the mile of so of cabins and houses along the creek, Silverado Canyon winds up into the wilds of Cleveland National Forest. The one lane road crosses the creek via fords, no bridges. Although the road was paved as far as we went, it turns to gravel farther up and one needs 4WD to make it up to Santiago Peak. At a mile high, it is the highest point in Orange County. 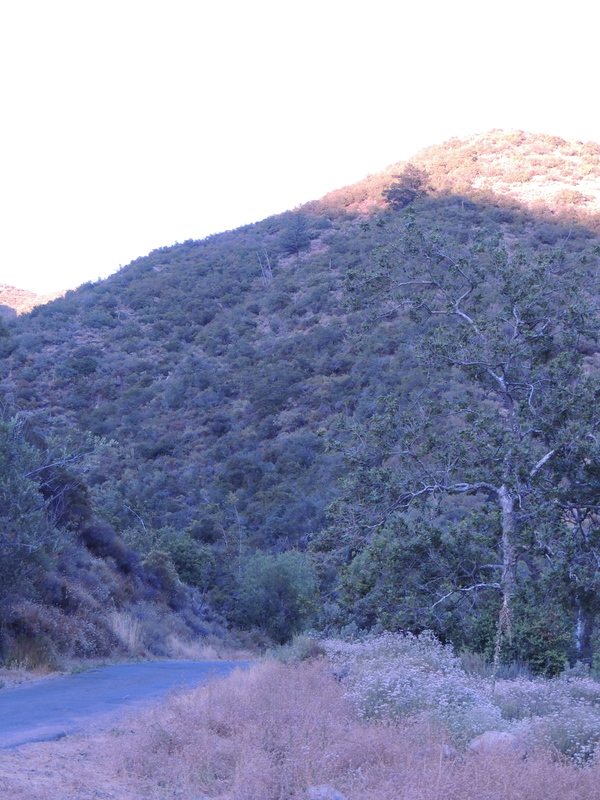 We went up Silverado Canyon in Orange County, CA, in the Cleveland National Forest. Although we live in the midst of 18 million people, there are still some really wild places left in the county. This is one of them. 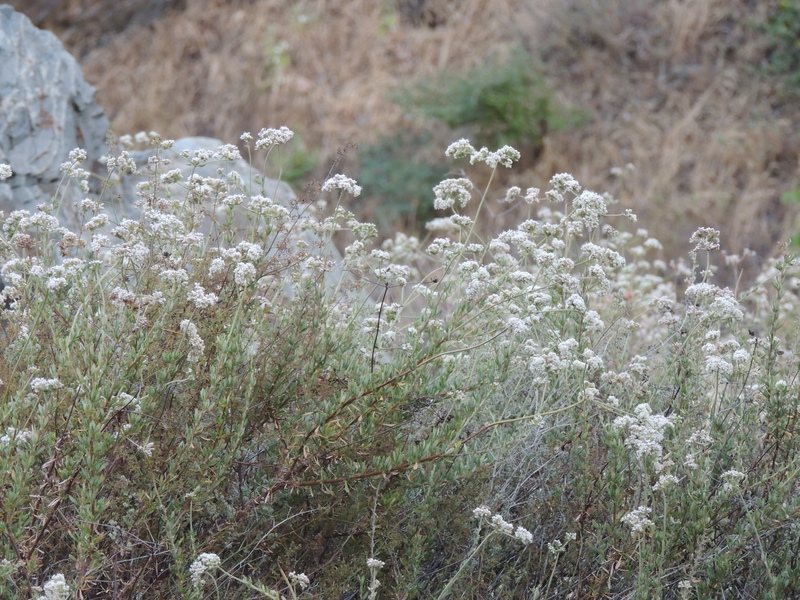 The buckwheat is in bloom, but southern California turns from green to brown in June. We don’t get any rain from April through November here. I have to confess that I shoot mostly on Auto. Never again. The guys set my camera on manual and I fumbled around trying to take shots that way. I had no idea what I was doing, but managed to get a few shots in focus among the many that weren’t. I even managed to use my Nikon software to download them and erase the photos from the camera. The “erase” part was new. Amazingly, I found the pics in iPhoto and processed a few of the best ones after deleting the masses of out-of-focus shots, or the ones with perfectly focused backgrounds from which the moth had fled seconds earlier. And even more incredibly, I was able to find and email a few. Now lets see if I can find them again to post in this blog. 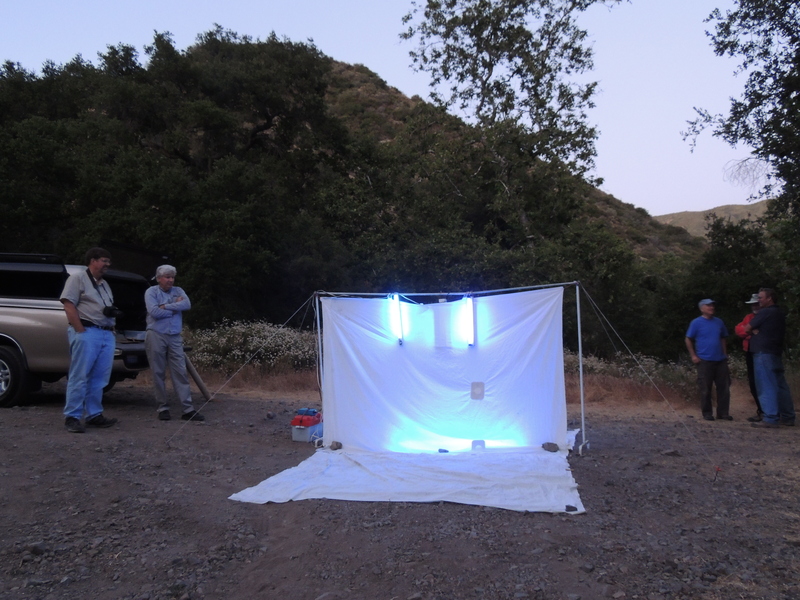 This is the setup for backlighting insects. They are drawn to the white surface on which a backlight shines. As it gets dark, the insects swarm to the light. I couldn’t identity a single thing, but I was told that this is a Tussock Moth. I forgot the names of most of what I was seeing. What the heck was this one? This is a leatherwing beetle. Check out those antennae! Cool. 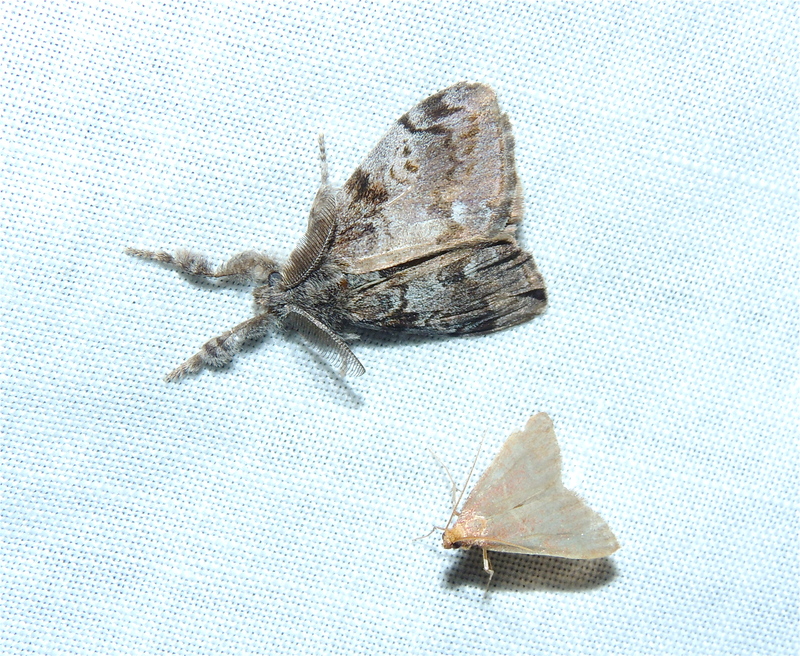 Tussock Moth and friend. The little guy is about the size of a pinkie thumbnail. White on white, a hard shot. The moths swarmed everywhere. They flew in our faces, and even landed on us. This is an Elegant Sphinx Moth. Yes, it was indeed elegant. And here it is again, with a little friend. No clue what this one is, but it was different. This was the last one I photographed. Should have taken a few more pics, because neither of the two I took were spot on. I figured that I couldn’t top this green guy, and it was late, so we went back home. 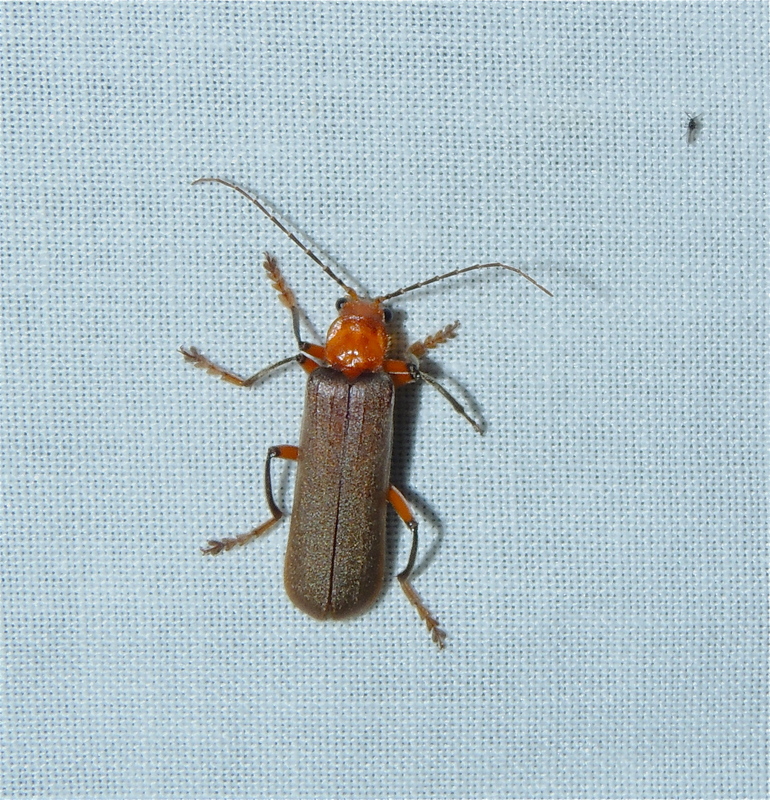 The upshot of this is that I’m hooked on photographing insects at night. What fun! Hubby and I signed up as Forest Service volunteers so we can help them collect data on the unseen and unsung night critters of the forest. 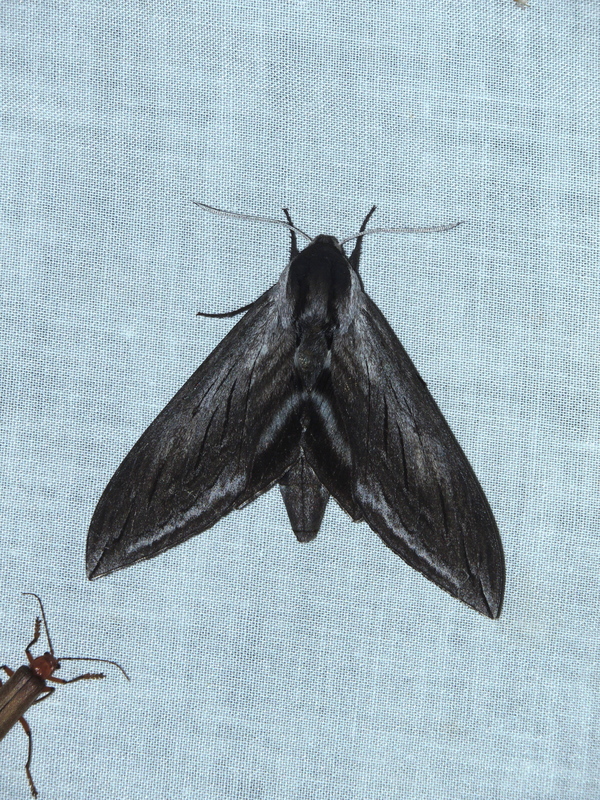 This entry was posted in Uncategorized and tagged black light photography, Cleveland National Forest, Elegant Sphinx Moth, iMac, iPhoto, Leather Wing Beetle, macro photography, moths, Nikon Coolpix 510, Orange County, photos, Silverado Canyon, Tussock Moth. Bookmark the permalink. Oh! That seems like a much more sensible approach. 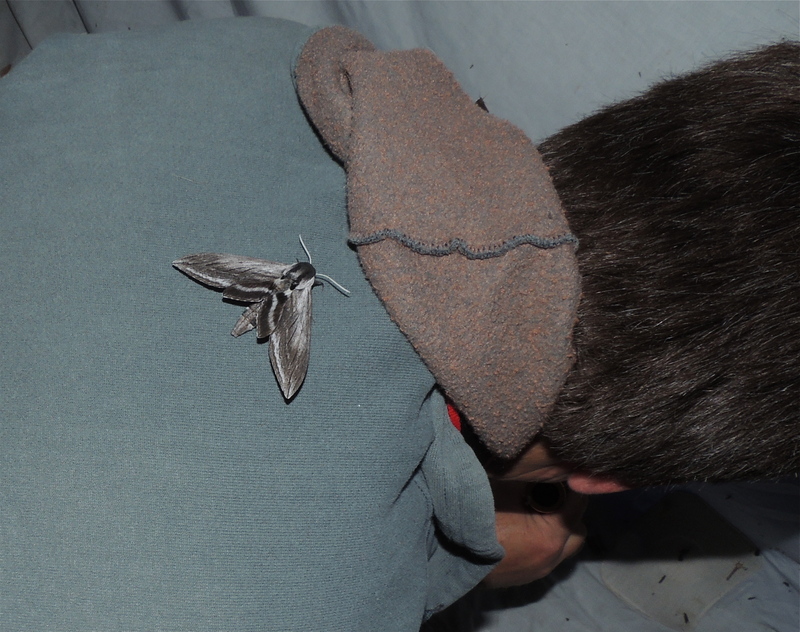 Entice the creatures to come to you in the dark, rather than running around the woods looking for them 😉 I’m quite envious of the Elegant Sphinx Moth you found. I’d love to find Sphinx Moths here. I know we have a number of species of Tiger Moth, as they tend to cluster under our porch light at certain times of year. I may have to try this trick though, and see who flutters toward the light! Clare at Curbstone, you need a black light. It’s really nice to sit in a folding chair, swatting mosquitoes, waiting for the moths to come to you. 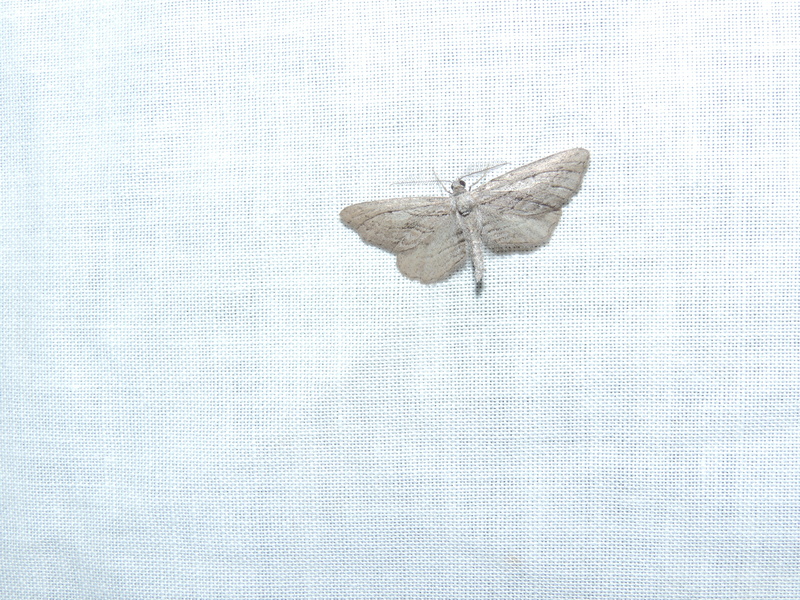 I think that it’s really funny that we both posted photos of Pale Beauty Moths on the same day. Great idea and love the last picture! Mothing is catching on in a big way and can be done just about anywhere, even in urban backyards. A black light and a white sheet and you’re good to go! It’s a very addicting hobby! 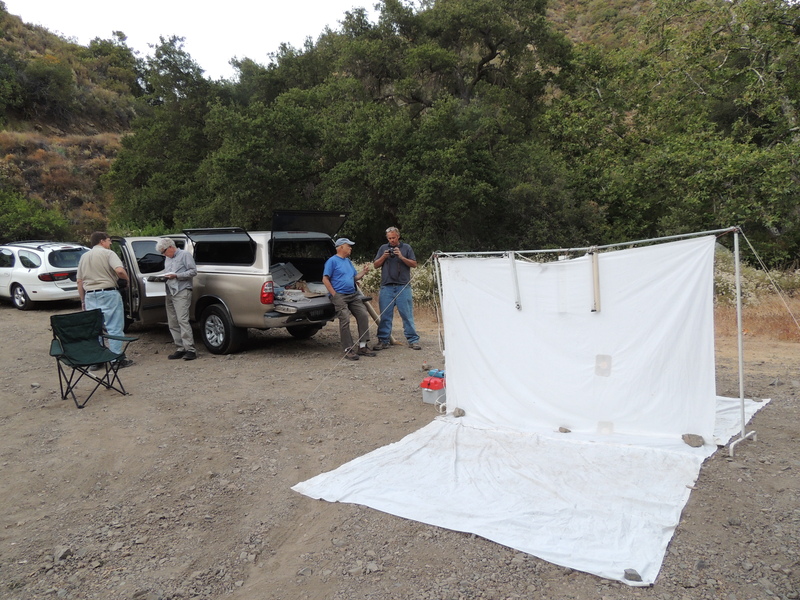 Get that white sheet and black light ready to go…..Moth Week is almost here! Ken, I’ve become addicted to moth-ing. I’m glad to hear it! It’s an addicting hobby! 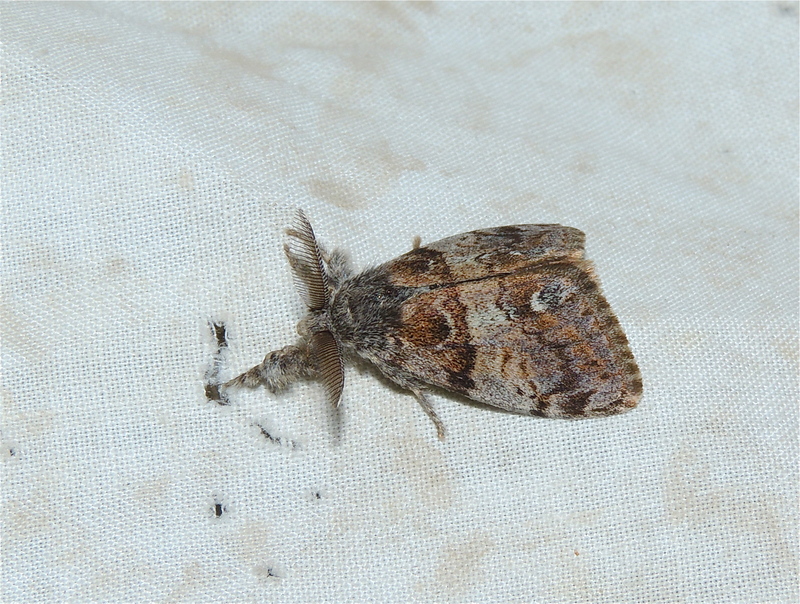 Last night I had moth species #907 for my farm. There aren’t too many animal related hobbies where you can get numbers like that in your own backyard and still find new species on a regular basis. If you haven’t yet, click on my name and take a look at some of the bugs I’ve been attracting with my light setup. 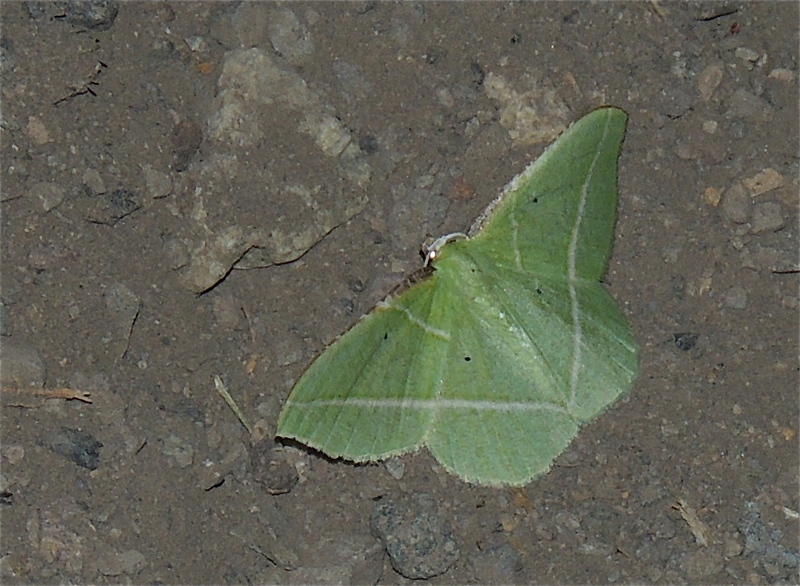 There are lots of moths but some of the other critters that show up are pretty amazing! 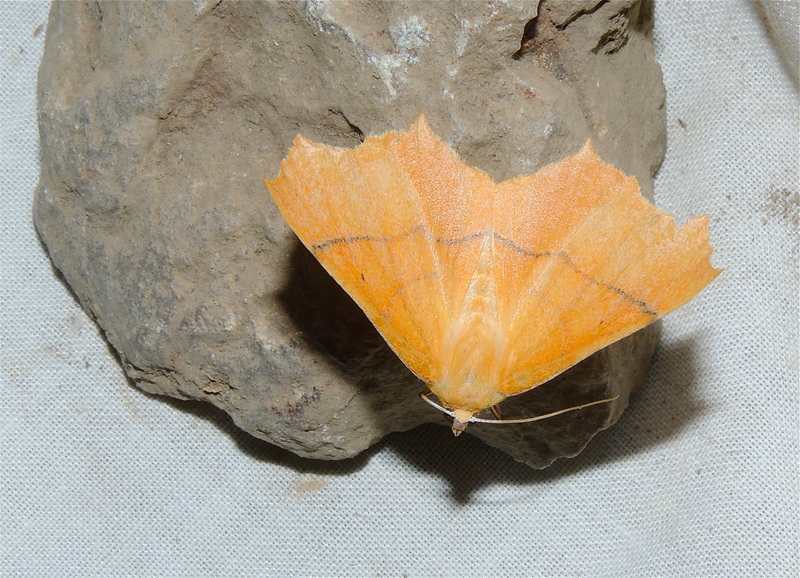 I forgot to mention that if you’re on Facebook, there’s a Mothing & Moth-watching group. It’s an open group so you don’t have to join to be able to browse the posts. Ken, if you are checking back to see replies to your post, what is a good book for west coast USA moth-ers? I’m also looking for a black light that runs on batteries, something other than a car battery. Too heavy for me to lug around. I don’t know of a true field guide for western moths. Moths of Western North America is supposed to be a fantastic book but it’s not something you would want to carry around with you. To ID moths I mainly use online resources like the Moth Photographers Group and BugGuide and when all else fails, I’ll post an ID request to the FB Mothing group. I’ve heard that BioQuip is supposed to be a great place to get pretty much anything bug related but I’ve never dealt with them. I bought the Western moth book. Too dense for me, but my biology teacher husband loves it.